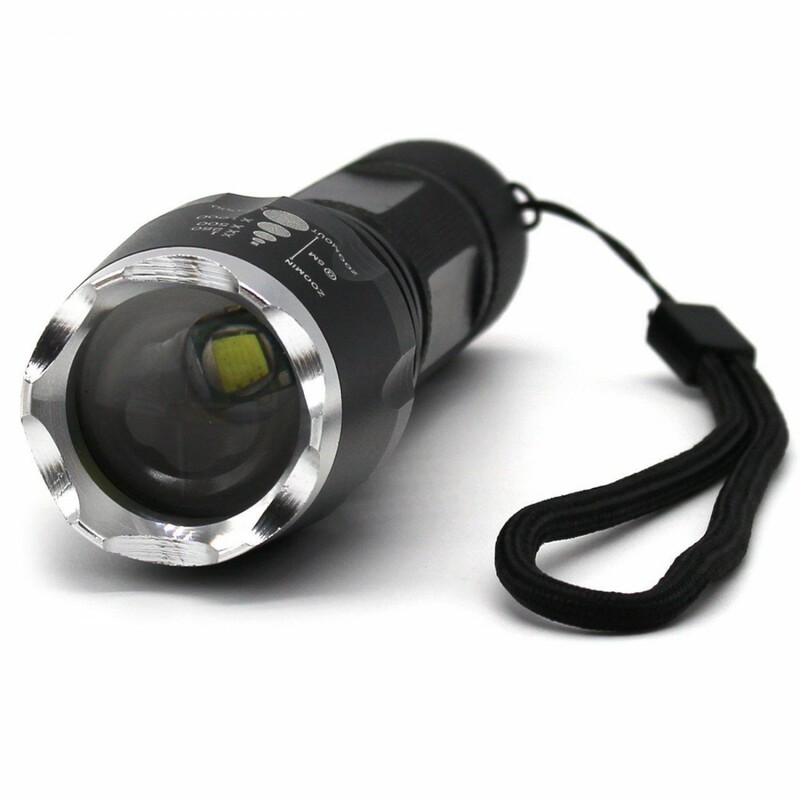 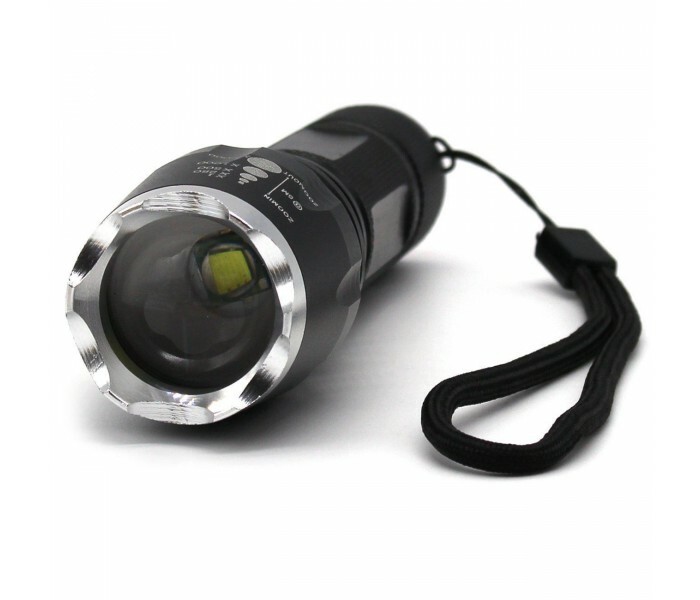 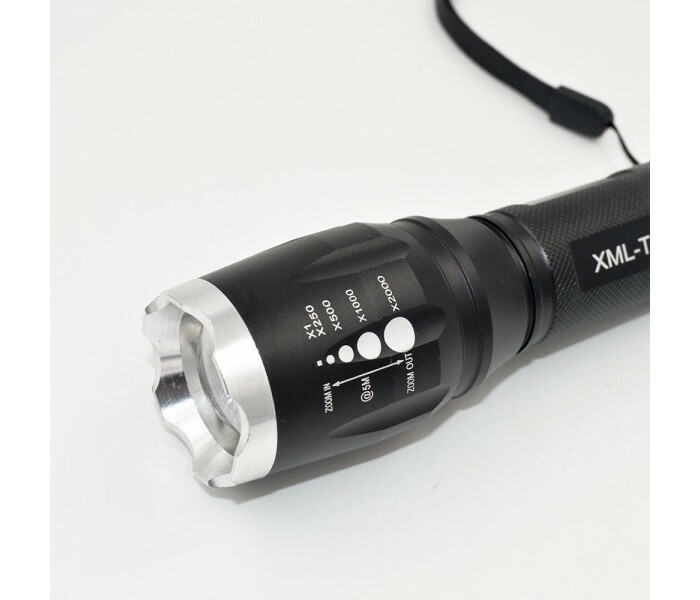 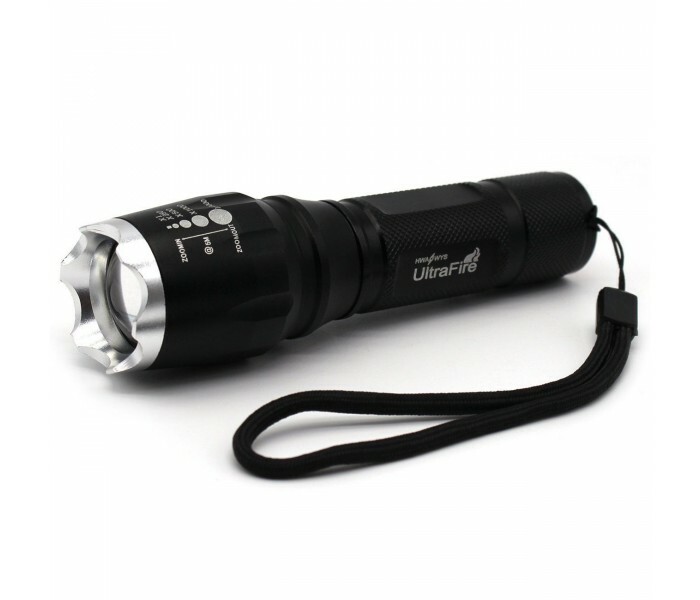 flashlight is made of high quality 6061T aluminum alloy, visible distance can reach 150 meters. 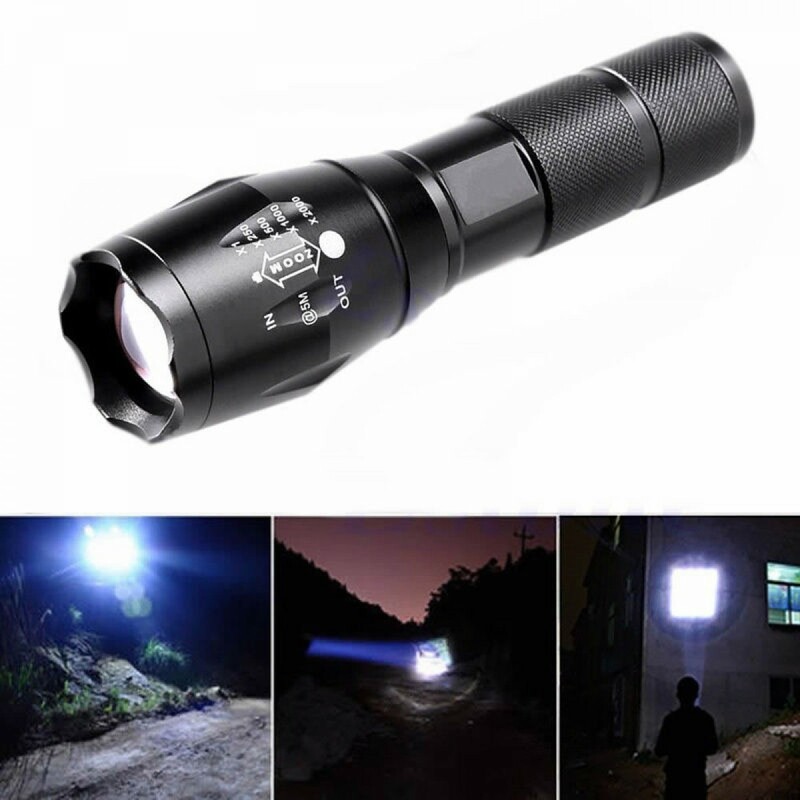 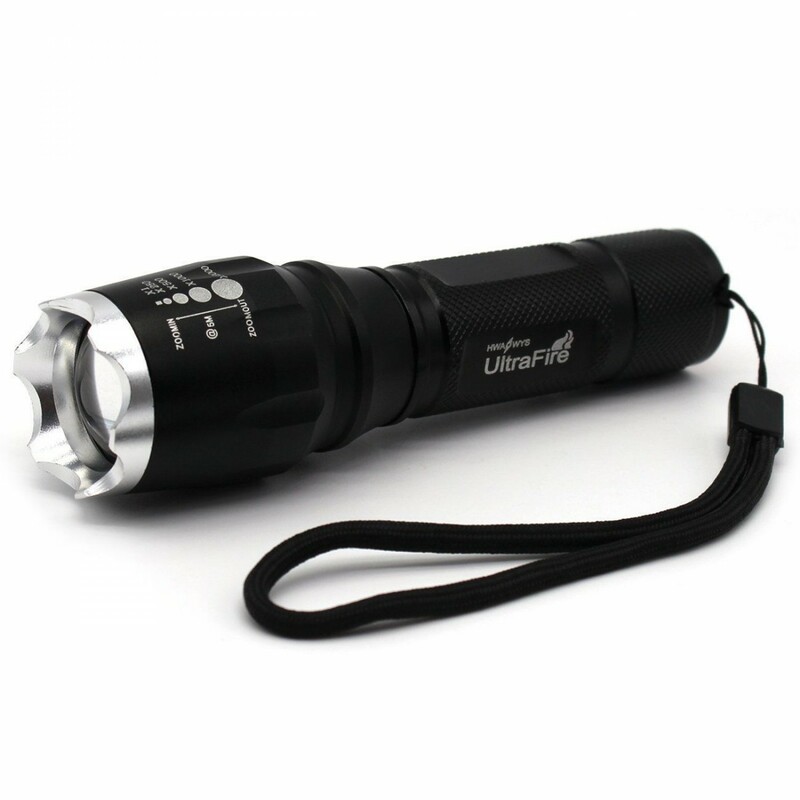 It can provide super bright light beam, its brightness can be up to 2000 lumens. 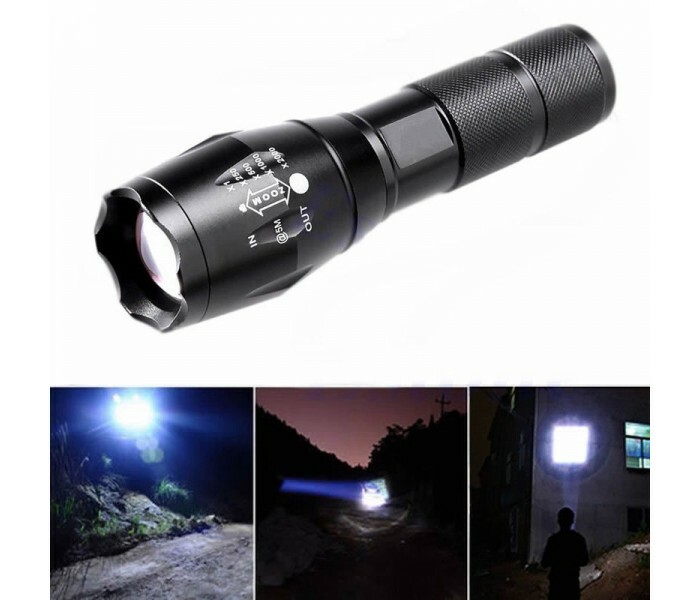 Support zoom in zoom out function with adjustable focus, widely used in outdoor activities. 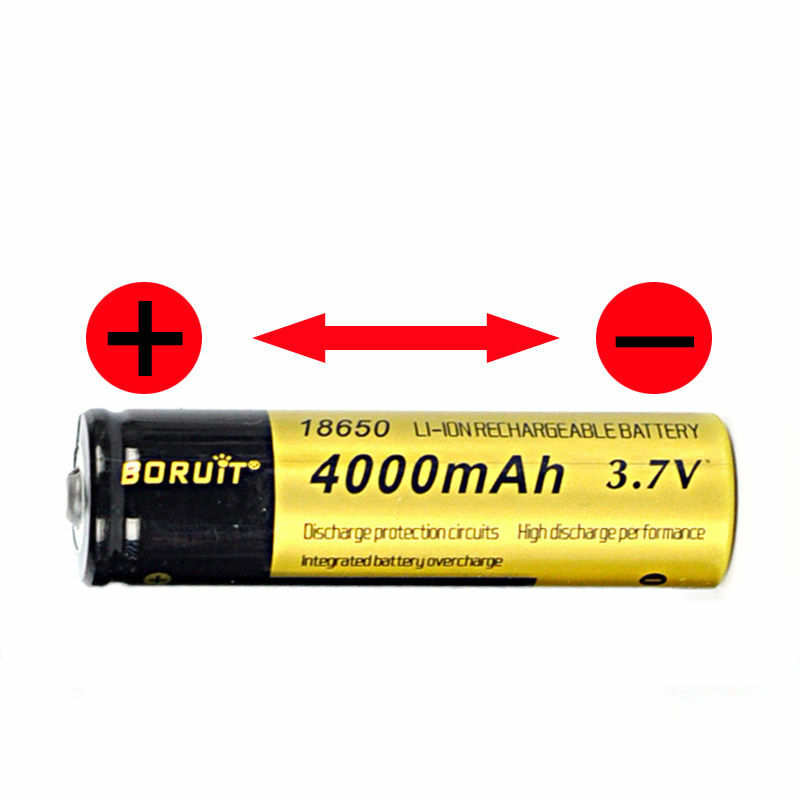 - Internal wiring applies constant current output. 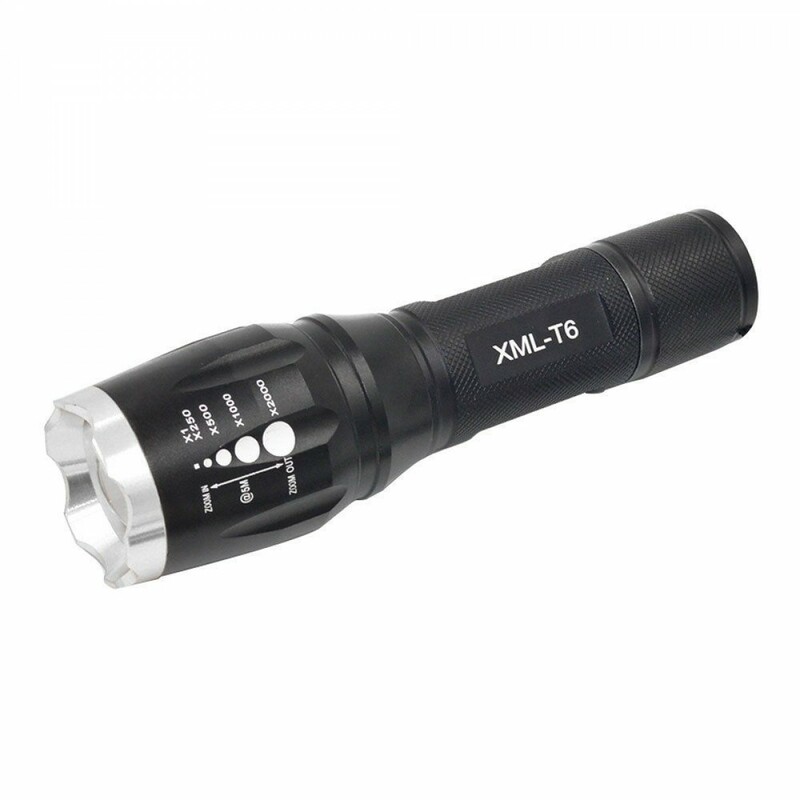 - Five modes with one button operation. 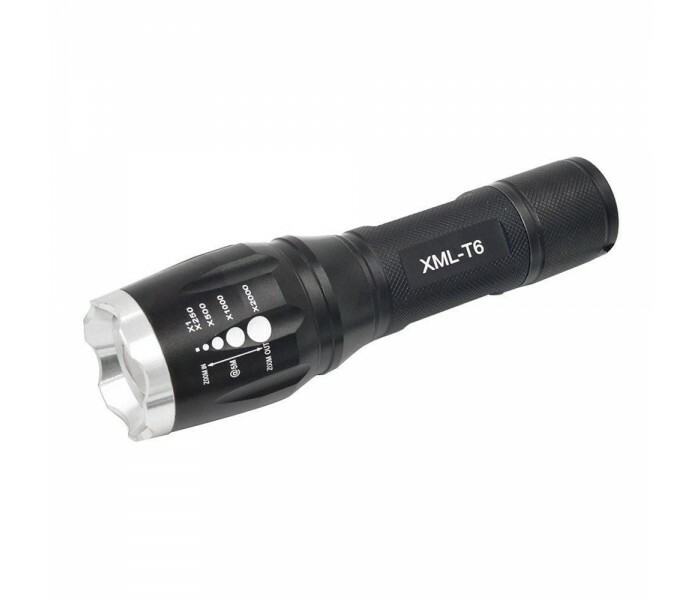 - Support zoom in zoom out function with adjustable focus. 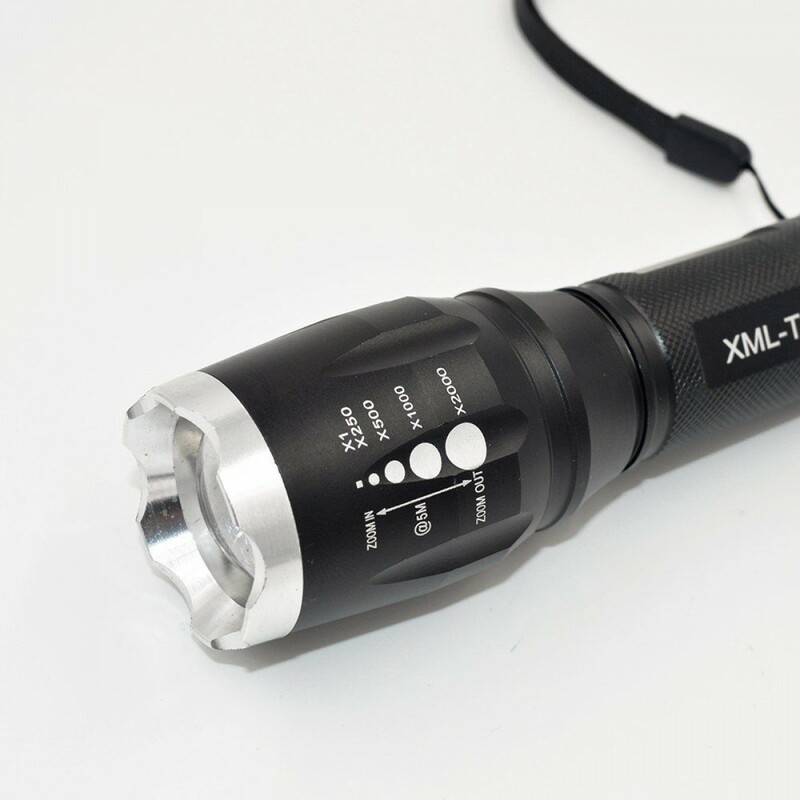 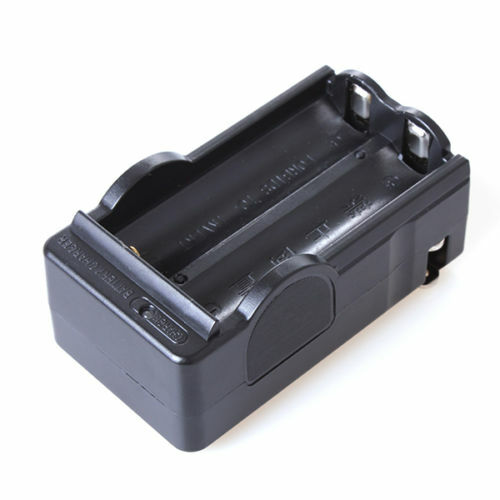 - Aluminum alloy casing support waterproof function, skid-proof design, feel more comfortable.